This spacious apartment has 2 large bedrooms and a sofa bed in the lounge. A king size double with its own shower room and a large twin room . There is also a bathroom and a kitchen/dining room. This flexible apartment can be booked for just two guests if required. 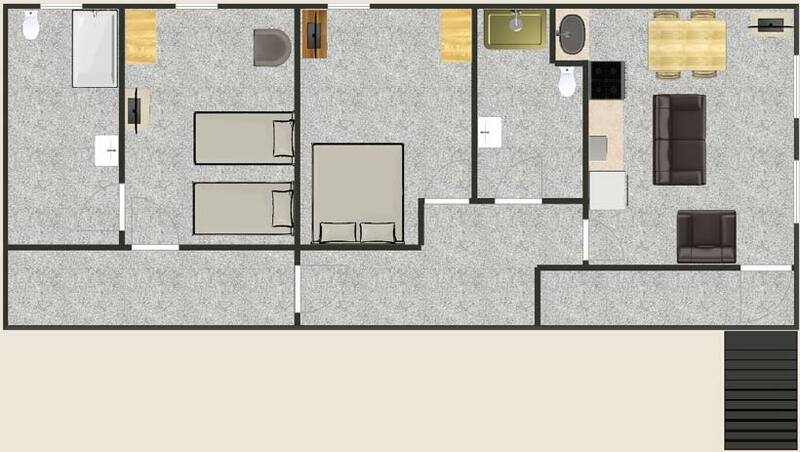 This would provide a double bed and shower room.